Here’s a look at what’s coming out from DC Comics for July 2016. A full list of solicitations is available here. DC’s “Rebirth” reboot/revision/whatever continues this month, as the pre-New 52 Superman (i.e. the one from 1986-2011) fully debuts in the post-“Rebirth”/no-longer-New 52 DCU. It remains to be seen how the “Rebirth” line will treat everyone, especially Wonder Woman. Hopefully her storyline reveals the New 52’s straw-feminist portrayals of the Amazons were all a lie. Elsewhere, it looks like we can confirm there will be a Superboy (and using that name) in the post-“Rebirth” DCU—the son of the post-Crisis Lois Lane and Clark Kent! At least this Boy of Steel (hopefully) won’t be torching Christmas trees with heat vision on purpose. Outside of the DCU, the Hanna-Barbera comic reboot continues, with the first issue of “The Flintstones” out. I assume it’s going for a darker style of humor based on that book about cannibalism(?!) Pebbles is holding? Batman ’66 this month starts a team-up with the stars of the 60s British TV show “The Avengers,” retitled in comic form “Steed and Mrs. Peel” for American trademark purposes. I liked watching “The Avengers” in the late 90s, so this should be fun. 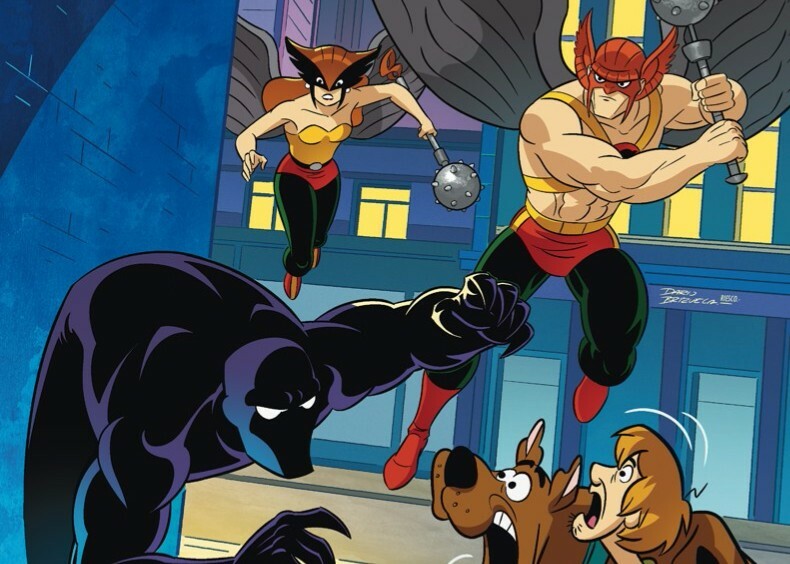 “Scooby-Doo Team-Up” this month sees the gang meet Hawkman and Hawkgirl! I assume it’s the Silver Age/”Justice League” TV show Thanagarian versions versus the confusing post-Crisis versions. Skipping a bit ahead to August, the “Looney Tunes” comic is getting a trade paperback collecting some of its early issues. For a title that’s run quite a long time (and without a renumbering), it doesn’t seem to get much attention from DC, so this is a pleasant surprise.